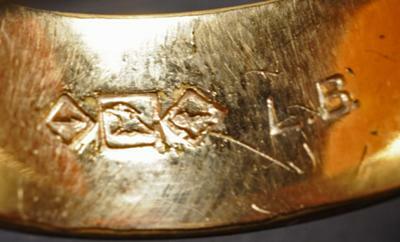 I have this old gold/ gold filled band ring with hallmarks I cannot identify. As seen in the picture it appears to be an eagle or falcon head facing left in a square with a diamond on either side of the square. Inside each diamond appears to be a single arrow.